A new rumor suggests Samsung is working on a slightly less powerful version of its Exynos 8890 processor dubbed the Exynos 8870. The report hints that the new variant will be sold to other manufacturers, with Meizu at the top of the list. If the speculation is accurate, this could mean the forthcoming Meizu Pro 6 will be powered by the new Exynos 8870 chipset. It’s certainly possible, given the brand’s current flagship, the Pro 5, is the only non-Samsung handset to run on the Exynos 7420 chipset. The latter was shipped with the Samsung Galaxy S6, Galaxy S6 edge, Galaxy S6 edge+ and Galaxy Note 5. It’s been highly rumored that Samsung is going to pack the Exynos 8890 SoC within its next line of flagship phones including the Galaxy S7. According to GizmoChina, the 8870 will sport the same Mongoose architecture as its more powerful variant. The former supposedly comes with a slower CPU and GPU frequency compared to the latter, which is built on a 14nm FinFET fabrication process. 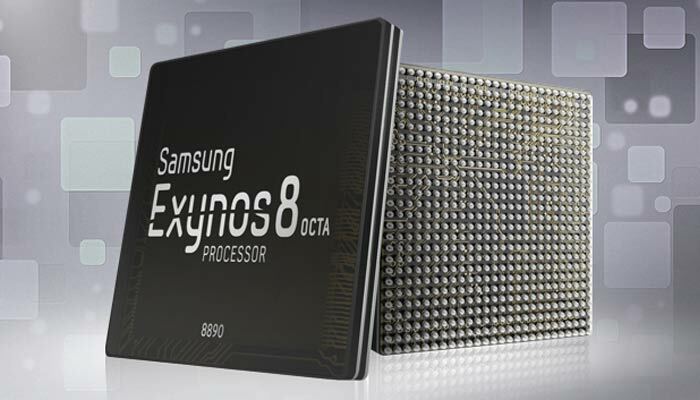 However, the Exynos 8870 processor has managed to keep up with the 8890 when it came to single core performance scores. It had posted a figure in the range of 2000 points compared to the other’s 2270 points in a Geekbench test. Keep in mind these numbers are not verified and should be taken with a pinch of salt until we learn more about the chipset. The source suggests both the Meizu Pro 6 and Pro 6 Mini will feature the Exynos 8870 within their hardware. The smartphones may come out by the second quarter of 2016 or even later. We’ll keep you posted as and when Samsung and Meizu decide to announce its new products.